The Beat Editor Ellery Saluck ’17 asked Hopkins seniors this question: What will you miss most about Hopkins next year? 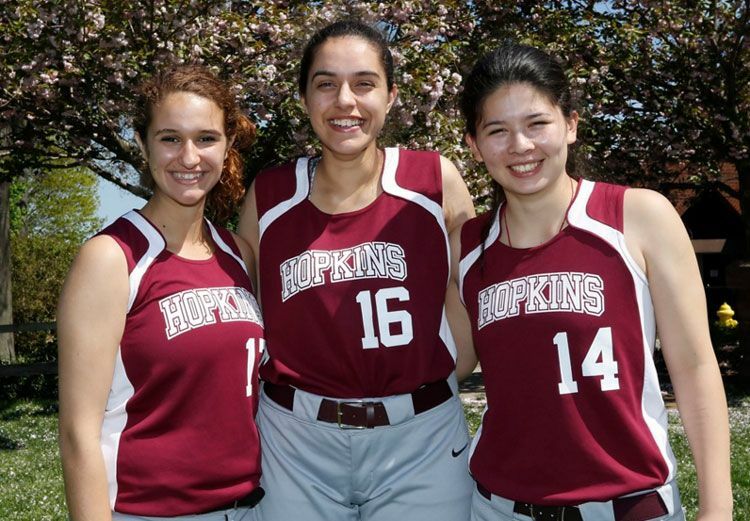 Christiana Lano: I remember this year on Ski Lodge Day, a time when I thought this would only happen at Hopkins. I was laying in my pajamas on the ground playing Banana Grams with my friends. It felt like a very authentically Hopkins experience. Everyone is kinda nerdy here and it’s acceptable, and it’s cool. Spencer Lovejoy: I probably will miss the squash courts and all of the sports teams I’ve been on because there is a really tight bond between us. Emmanuel Chinyumba: Hopkins is a place where it is so easy to get to know everybody and get involved. And with that, you get this huge support group and very loving community, and it’s super fun to be in. Once you are a senior at Hopkins, you have made it. You are the head of different clubs and sports activities, and so you have all of this responsibility, and now it’s going to be starting from the bottom again, so that’s going to be the hardest part. Chrisshara Robinson: I think I’ll miss the close community. Even with all my friends, even with people I don’t talk to on a regular basis, I was still really close with them-- especially teachers. I have a few teachers that were best buds, so I am going to miss the close-knit, sort of family we’ve created. Colby Gardener: I think what I am going to miss most about Hopkins is the sense of community and how walking through the quad, you get to a certain point where you know everybody. Everybody is friendly here. It’s nice to be surrounded by people who share your interests, and Hopkins is a good place for that.